Would you take a magic pill that could allow you to eat more, ease stress, and boost your brainpower? There is something that can do all that, and more: exercise. Following are some fitness facts that will help you get started. Numerous studies have shown exercise can boost memory and concentration. 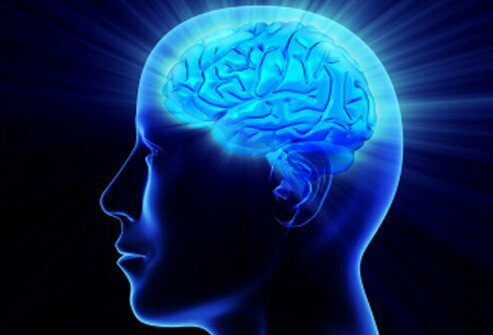 It increases serotonin, a neurotransmitter, in the brain that can lead to improved focus and clarity. 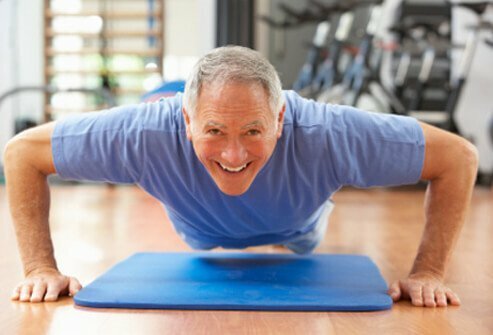 Other studies have shown that physical activity may reduce cognitive decline in older adults. Exercise reduces stress, and can help ward off depression and anxiety. Regular exercise can reduce stress hormones such as cortisol and adrenaline. Studies have shown people who exercise as little as 20 minutes per day, three days a week, have less fatigue and more energy overall. Exercise increases blood flow, which allows oxygen and nutrients to reach the cells, giving you energy for daily tasks. It's not necessary to spend an hour or more at the gym to get in your daily exercise. Short bursts of activity can be incorporated throughout the day. Take a walk on your lunch break, ride bikes with your kids, do jumping jacks for 10 minutes, or run up and down the stairs for five. Getting exercise in short chunks is just as effective as doing it all at once. A cumulative half-hour per day is all that is needed for health benefits, and a total of 60 minutes per day can help you lose weight and keep it off. Exercising can also help strengthen relationships. Spend time with your partner or friends walking or meeting for a tennis match, instead of going out to eat. Having support also helps you keep your fitness goals. 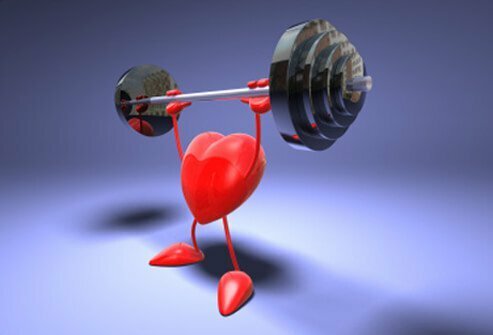 Exercise makes the heart and cardiovascular system stronger. Your heart will become more efficient, pumping more blood per beat so at rest your heart rate will be lower. Even a few days after beginning exercise the body starts to adapt, and breathing is easier, your body feels less fatigue, and pain and soreness will diminish. We've all heard muscle burns more calories than fat, so by having more muscle your resting metabolic rate will be higher. That means you can take in more calories and still maintain your weight. 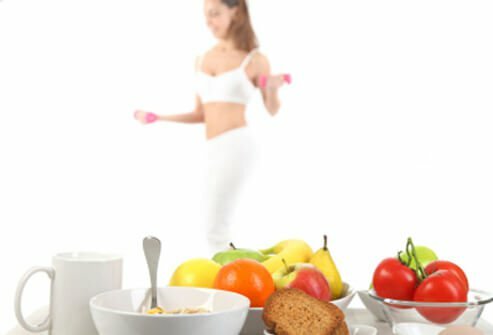 It's not a carte blanche to eat whatever you want, but you can enjoy your favorite sweets and chips in moderation when you exercise regularly. Exercise will improve your performance in your athletic endeavors. Once you've been exercising regularly for several weeks your body will be more efficient and you will have more endurance. Your muscles will be stronger and more flexible, and your overall performance will be enhanced. Don't make weight loss your only goal when you start exercising. 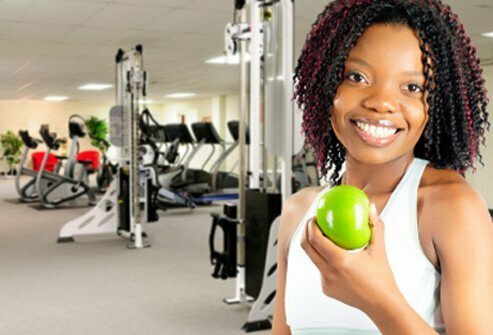 Certainly, exercise is a helpful component of a weight loss program but the health benefits of exercise – whether you lose weight or not – are important too. Whether the number on the scale goes down or not, remember your body is still reaping the benefits of exercise. 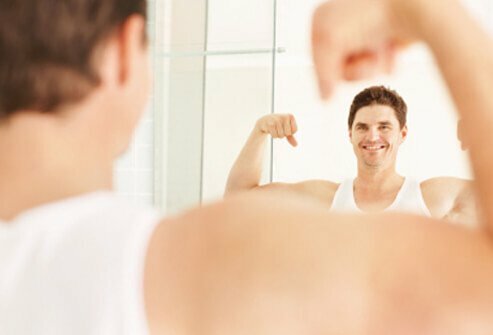 You will be sharper mentally, less stressed, and more fit overall. 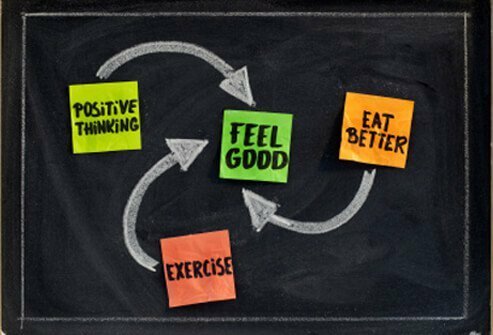 Exercise can help improve your health, your mind, your body, and your relationships. 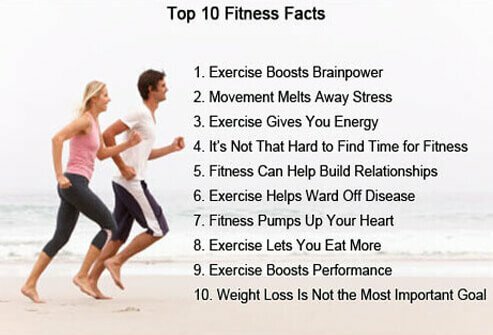 Hopefully these 10 fitness facts will inspire you to incorporate exercise into your daily routine! Anxieity and Depression Association of America (ADAA): "Physical Activity Reduces Stress." Centers for Disease Control and Prevention (CDC): "How Much Physical Activity Do You Need?" UpToDate: "The Benefits and Risks of Exercise."